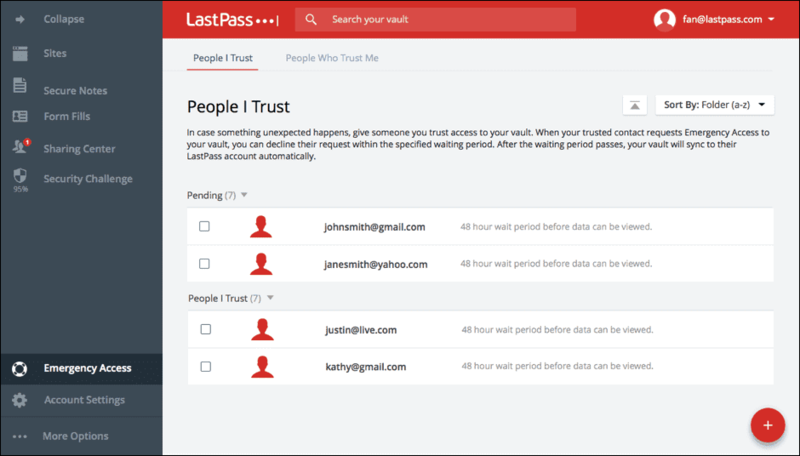 LastPass Review & Rating – Should You Use It? 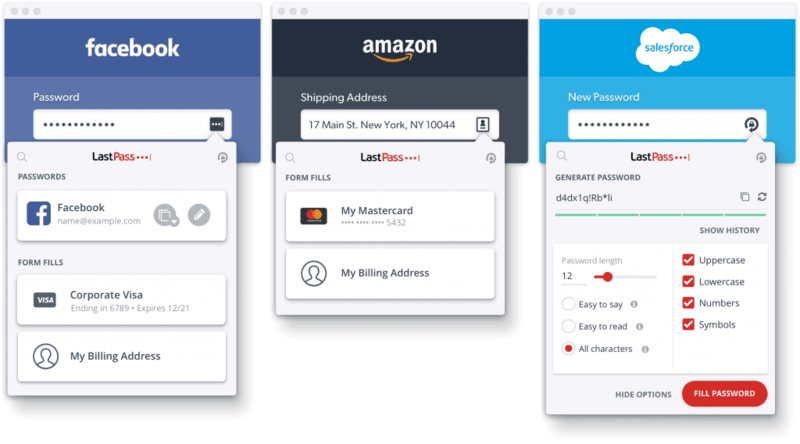 LastPass is an excellent password manager, digital wallet service. It can replace your native Autofill services plus give you extra benefits like syncing password across different platforms. In addition, It has many other security features. Looking for a password manager? Probably, This LastPass review is for you. So, Read it before making the final decision. Password! We know how important it is. But, It is also a hassle when you need to memorize so many passwords. So, Password Managers and Autofill services become popular nowadays. Problem is all of them are not as good as a user expect. 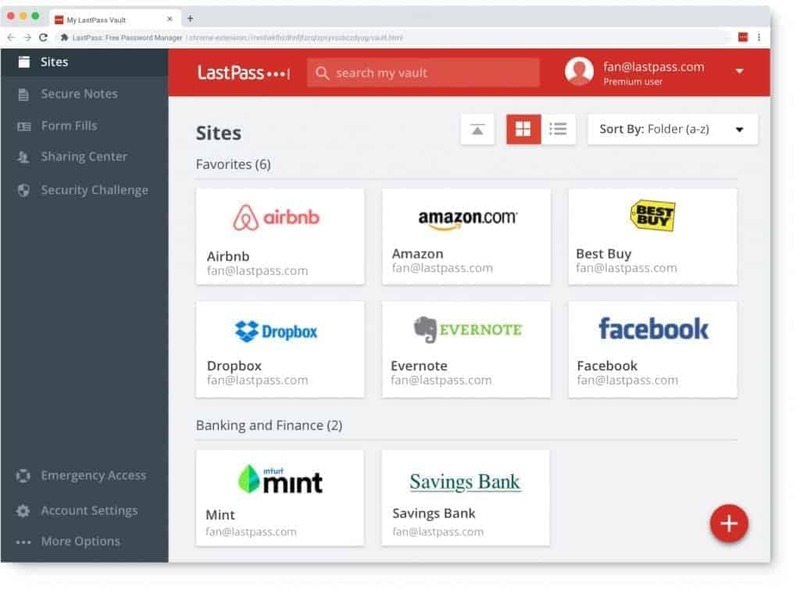 LastPass is one of the popular password managers. But, Is it a good fit for you? This review will give you all of these answers. 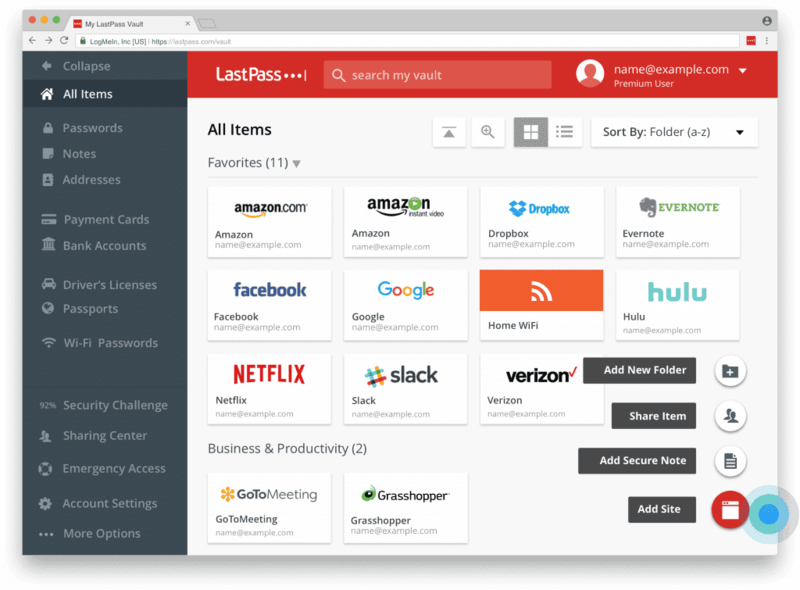 LastPass is one of the best Password managers with some cool features. It can generate, store and autofill your online credentials to make your life easier. But, There are are some other tools that do the same thing. So, Question may arise in your mind “Should I use LastPass?” The answer may vary from person to person. But, This LastPass review will help you to make your decision whether you should or shouldn’t use it. There are many features exist in LastPass. But, I will mention the most important ones. These are the most mentionable features of LastPass. Else, It offers some great features for Teams and Enterprise. It also has special features for Family. Like your Google’s Autofill or iCloud Keychain services, LastPass can automatically save your username and passwords for specific website and apps. So, When you login into these sites or apps again, you won’t have to type your credentials again. It will automatically fill them in a secured way and log you in. While signing up for different services on the internet, we may face difficulties to create passwords. Because We may want a password that doesn’t fulfill that service provider’s security requirements. In this case, LastPass can automatically generate a strong password for you store in its vault. It saves your time and efforts. You can store your credit card and bank account information easily on LastPass’s vault. It also can automatically save them for you while purchasing anything online. Later, When you try to purchase anything, you won’t have to put your payment information again. Because It can autofill them. It helps you to avoid a lot of hassles and improve your shopping experience. You can add membership information, WiFi passwords, insurance cards, SSN and many other things on the vault. LastPass keeps them secured and organized. It is a premium feature. You can create a folder and share it with others especially with your family members, teammates, etc. LastPass has Chrome, Edge, Firefox, IE, Opera browser extensions, Windows UWP app, Mac and Linux app. And yes, It has iOS and Android apps. So, You can use it from any smart devices. It syncs all credentials across devices. This is an important feature. What happens when something bad happens to you? All of your information will be secret forever? Probably no. You don’t want to do that. You may want to give access to someone you trust to your data so he/she can get access where possible like Bank Accounts. In this case, This feature can help. You can add your trusted person. He/She can request to get your information without knowing your master password. But, You can add a waiting period for that. If the waiting period is passed, he/she will get your data. During the waiting time, you can deny any request. Through LastPass, You can share your password or any sensitive information with someone else. It comes with 1 GB secured storage where you can put your sensitive information. Else, It comes with multifactor security facility that makes your data extremely secured. I have tested LastPass to know how efficiently it performs. It works on your PC, Mac, Linux PC, Android, and iOS devices. Overall, Its performance seems ok to me. If you install its browser extension, it will work like a native tool. While signing up a new website, you can generate a hard password and store it on LastPass automatically. When you log in anywhere, It will ask to save the credentials. During purchasing anything, it will do the same for the addresses and credit cards. Everything sync automatically between devices. In your smartphone, it performs great. But, I have not found any option to generate password while signing up for any services through any smartphone app. It can just autofill from existing information. To generate a strong password, you will have to open the LastPass app. But, In my iPhone, iCloud Keychain works great which generates password automatically. It automatically generates a hard password if I need. Anyway, When you are going to log in anywhere on your smartphone, LastPass can use your Biometric verifications like Fingerprint or Face ID to be sure it’s you. That works like a native service of your smartphone. In fact, It works great in many ways. For example, In your PC or Mac, You have logged in to a website and your passwords are saved in LastPass. Nextime, When you are going to login into the same website using different browsers like Safari or Edge either in PC or smartphone, LastPass will autofill the credentials automatically. It saves a lot of efforts. I have not found any significant downside. But, One thing I have experienced is it sometimes takes a bit time to sync your passwords between devices. Another thing is, In some special cases, Native free services like iCloud Keychain or Google Autofill works better. It may be because of some limitations. Else, It has no good app for desktop platform, especially it has no native Windows app. The LastPass has both free and premium plans. The free version has only basic functionalities. But, Premium versions have so many benefits. The Premium version will cost you around 36 USD per year. It also has family and business subscription with different price plans. LastPass is definitely a good choice when you need to manage passwords on various devices in various platforms. In this LastPass review, you have already got some idea about its pros and cons. So, It’s your decision. If you want freedom of managing passwords on any devices, it’s for you. If you want something extra rather than just credential management, it is also for you. But, If you don’t need any of them and you are stuck in a single ecosystem, you may not need it. For example, If You have iPhone, iPad, iMac, Macbook, and Safari is your primary browser, the iCloud keychain is enough for managing passwords only. But, LastPass many things that can help you in many ways. So, I don’t have any problem to recommend it to you.